Fantastic work in the first week! We are really pleased at how our pupils have not only settled in this week, but have already started working extremely hard. 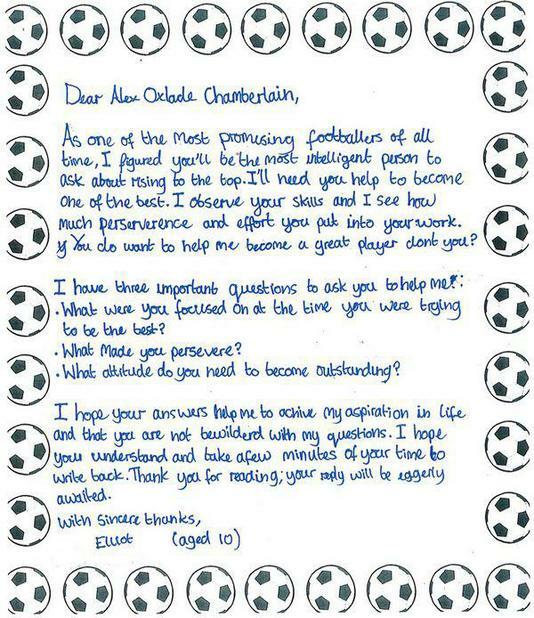 Elliot in Year 6 wrote this well constructed letter to Alex Oxlade-Chamberlain about his own aspirations. Well done Elliot!